Getting found in organic search is one of the most cost-effective ways to generate leads. It is no wonder that online marketing professionals and SEO experts should spend a lot of time optimizing to get ranked in the search engines for important keywords. Keyword research has evolved over the last decade in response to new technologies and Google algorithm updates – which has necessitated a change in on-page SEO tactics. Gone are the days when simply cherry-picking potential keywords were sufficient in order to get top-ranking placements in the SERPs. Semantic search is one outstanding factor that has influenced the way we put keyword research into action. Google’s old configuration relied pretty much on nothing but keywords in order to work. When anyone typed a search query, Google would search the web for any websites that included those keywords to the letter. It was not uncommon to find muddled, keyword-stuffed pages in the top ranks. It used to be much easier for companies to cheat the system, and improve their rankings by repetition of their keywords alone. However, beginning with the 2013 Hummingbird update, Google stirred the playing field. The Hummingbird update brought with it a new way of generating results, known as semantic search, which has made Google’s algorithm smart enough to analyze your webpages according to their perceived value. Including appropriate LSI keywords within your content is necessary to ensure that Google’s Hummingbird has an accurate understanding of the business behind your webpages. It is a process that began in 2012 and 2011, with Google’s release of the Penguin and Panda updates in an attempt to purge the search engine of “over-optimized” pages and rogue backlinks. Unrelenting updates since have sharpened up the algorithm even further, and with 2014’s Pigeon update, Google introduced many new trivial ranking factors, such as local directories and review-ratings. Regardless of how search engines have evolved and the playing field has shifted, keyword research still plays a significant role as a compass for SEO, market research, and content. Keyword Research is the first major point of reference and inroad into your online target market. Before producing any content, you need to think about your audience and their search-habits, and after you do that, seek out exact words and phrases that you will use in your content. Whether you produce podcast audio, written copy, or video, any expert will advise you optimize that content for the search engines. In almost all cases, that means tapping into your market’s habits of exploring the web by including the right keywords in your content. 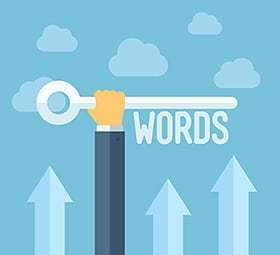 If you can muster a sharp-edged keyword research strategy — you will not only benefit from more search engine traffic – but you will also gain the competitive advantage of getting to know your market better than the competition. In spite of the importance of selecting keywords, many people (including so-called experts) go about it the wrong way selecting keywords that don’t reflect how people actually search, failing to perform competitive keyword analysis, and not focusing on profitable words. But when it comes down to it, you don’t need to be stumped by the idea of keyword research. It is really a straightforward process of learning the language and terminology that your target market uses in the search engines. And it is a process that can be simplified by software and tools. The most promising keywords are the ones with a perfect balance between high search volume and low competition. Head Keywords are typically of single-word length. They have dense search volumes and frightening competition (for example, “SEO” or “vitamins”). Because the searcher intent is not clear-cut (someone searching for “SEO” might be looking for a SEO quote, an SEO tutorial or a definition of the word), Head Keywords generally don’t convert all that well. Body keywords are phrases of up to 3 words. They have a respectable search volume (+- 2,000 searches p/month), and are a bit more to-the-point than Head Keywords. Keywords like “on-page SEO” or “get SEO quote” are cases in point. Although competition is a little less daunting than Head Terms, ranking for them can still be cut-throat. Long tails are 4+ word, ultra-specific phrases. 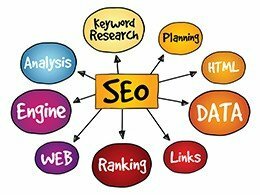 Refrains like “affordable SEO services for the leading enterprise” and “order band t-shirts online” are specimens of long tail keywords. Individually, long tail keywords do not usually have a great deal of search volume– but when added up, long tails tote up the lion’s share of searches on the web. KWFinder (https://kwfinder.com/) is an excellent tool for finding long tail keywords with low SEO competition. If you have never heard of the term “long tail”: it refers to the idea of peddling a large number of unique products in relatively small quantities, especially digital products, in order to turn a thriving profit. The term was made popular by Wired magazine’s Chris Anderson who published an article that later became a bestselling book: The Long Tail: Why the Future of Business Is Selling Less of More. A similar long tail strategy is applied to SEO. Some SEOs even focus exclusively on optimizing for the long tails because they are easier to rank for. 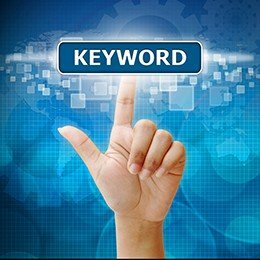 It is tough to rank for the well-known, competitive head-keywords, but the longer body- and long tail phrases, or a unique, unknown phrase, can become the watchwords that will land you high-up search result placements. Keyword research does not begin at entering your log-in details into a keyword research software. One needs to come up with keyword ideas before making a start. There are a number of ways to come up with new keywords which will be the starting-point of your research, and that includes brainstorming and industry observation. The software tools are most effective when used together with these strategies. – What kind products or services or information do I want to make available online? – What words and phrases are my target market likely to use to search for my type of offering? – Might my target market be looking to solve any specific problems? – What questions would they be asking? Industry observation is an equally important groundwork and preface to hands-on keyword research, the goal of which is to get wind of what is being talked about, and which industry-related words or phrases are being used in both online and offline chatter. The proactive steps in the process of keyword research rely heavily on the groundwork that has already been covered in advance. Google Autocomplete is another place to find useful keywords. Autocomplete is nothing more than the suggested searches that show pop up as you type in the Google Search box. It is a nifty way by which to find related keywords quickly. Even better, use Keyword Tool (http://keywordtool.io/) – another tool that I often use, and many top-notch SEOs do as well, to find long-tail and related keywords through Google’s autocomplete feature, but with quicker access to those same popular search terms. You could always do the whole process by hand in Google Autocomplete, but this tool will save you a ton of time by automating the process. Either of these tools can provide a wealth of insight into popular search terms related to your chosen keywords. Google’s Keyword Planner is a free keyword analysis tool that is straight-forward and easy to use once you have done your homework. Start by plugging in the words and phrases that you’ve put together into Keyword Planner to see average monthly search volume as well as the level of competition for those keywords. Keyword tools can provide you with a solid foundation from which to carry out your keyword research. But you also want to probe the data relating to your competitors & other top-ranking sites. What we want to uncover is how these websites got to the top with their keyword rankings, and what we can do to outstrip them. SpyFu let’s you poke about your competitors’ most valuable keywords and Ads in order to improve your paid and organic SEO strategies. SEMRush (http://www.semrush.com) is another powerful competitive analysis tool that will provide you with extensive insights into the stats of the opposing team’s players. Find out who your top competitors are, their backlinks, and their paid versus organic traffic. SEMRush’s Keyword Difficulty Tool is particularly worthwhile; with the ability to return information about the level of difficulty, search trends, search volume, and top-ranking sites for any number of keywords that you specify. Over the past few years with seismic shifts in technology and the way search engines work, the keyword research component continues to be vital to SEO. Understanding your market’s online behaviors are indispensable to addressing specific optimization issues on your website. In the post Penguin and Panda world, the success or failure of your keyword-optimization strategy will depend on your ability to select the right keywords to support your content, your evaluation of your market and your competitors, and how successful you can be at delivering what they want. Keyword research can help you achieve this, as long as you steer clear of keyword optimization practices that are now obsolete. Need help with finding the right keywords to optimize around and rank in the SERPs? Keyword research can be a laborious task and you really do need to utilize the right tools and you don’t want to waste your time, efforts and even resources. Let our team of experts help you narrow the right “low hanging fruit” keywords then shift to mid-level keywords that all of which will drive the right kinds of traffic to your website. Even more competitive terms are reachable. Take the next step right now! Reach out to us by calling 303-200-1000 or by email at sales@seozones.com. You can also receive a FREE website analysis by filling out the form on this page and letting us know how we can help.